Body cleansing does not have to be all about discipline and deprivation. Perhaps you had a weekend with too many fun foods and drinks or went on vacation, and now it's time to get your body back on track. Sometimes we want to ease into a body reset before we becoming rigid in a program. Other times, you may not be ready to do a full on body cleanse, but at the same time you want to stay on track with less stress. Or perhaps you feel like a mental detox – in which case, relaxation is key. These not-so-harsh practices can help your body cleanse naturally, reduce stress and help you feel refreshed. And for most of these, you don't need to go to an expensive spa, most can be done right at home for a fraction of the cost. See which ones suit you and enjoy your time off. Epsom Salt Bath – Also call a mineral salt bath, this is easy enough for anyone with a bath tub to add as a body cleansing practice. While many of use know a warm bath is relaxing, adding Epsom salt can help your body detox while helping tired muscles, relaxing your spinal cord and even removing toxins. Epsom salt has the ability to relieve inflammation, giving it the reputation of one of the best remedy for sore muscles, available. 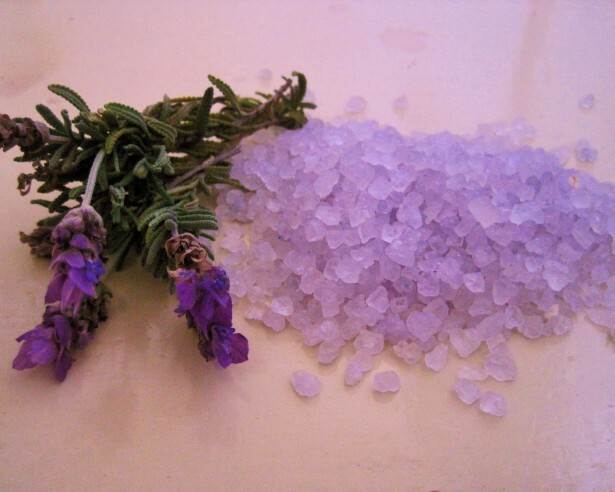 Research shows that the magnesium in Epsom salts stimulates the production of Adenosine Triphosphate, or ATP, which are our cells' energy producing packets., while the sulfates in Epsom salt help your body flush toxins from the cells through your skin. Lucky for us, Epsom salt bath salts are inexpensive, making it even more enjoyable. Essential Oils – Make your bath extra powerful by adding essential oils. Many associate healing oils with aromatherapy and for good reason. Studies show the scent of lavender oil has a calming effect and noticeably reduces anxiety levels. What many do not realize is that it also has the ability to help your body produce life-saving antioxidants as well as improving sleep. Rose oil is traditionally used for anti aging but research in China has shown us that it also helps destroy the bacteria responsible for acne. Find the essential oil that your body needs as it is fairly inexpensive (a lot goes a long way), and adding it to your bath can help make your healing time luxurious, too. Massage – We all know that a massage is relaxing and can help reduce stress while relieving sore muscles. But did you know this practice helps you remove toxic buildup? As our bodies (the liver in particular) work hard to keep up with the everyday chore of neutralizing and eliminating toxins, it can become overly stressed and store the toxins in muscles tissue or fatty tissue. This may create its own health problems making you feel sore, fatigued and sluggish. A good, deep tissue massage can help move this waste out, while drinking enough fresh water and citrus can help your body complete the elimination of these pollutants through the proper channels including the kidneys and colon. Regular massages are worthwhile and extremely beneficial, but can become pricey. Fortunately there are alternatives such as finding a massage school internship practice or purchase an at home massage device such as a massage chair, Acupressure mat or leg compressor (which aids in circulation, therefore helping to remove lymphatic or stored toxic waste). Dry Skin Brushing – This practice requires only a natural bristle brush for skin brushing, and about 2-3 minutes of your day. Dry brushing is a great way to stimulate circulation in your skin, help your skin glow and help toxins move through your lymphatic fluid. While it may feel strange at first, after a couple of days many people enjoy the stimulating brushing of the skin and some even claim this helps them feel more awake in the morning than coffee! Clay Bath – Using a clay for healing and detoxing is as old as the bible itself, if not older. Clay is well known to have toxin attracting properties, and has even been used to clean soil from contaminant spills, such as radiation leakage. A small amount in your bath can have detoxification qualities, especially when you are on a body cleansing program. Clay is also used in spas as a beauty treatment to help remove impurities from your skin. It is inexpensive online or in your local health food store and can be added to a bath or used as an at-home spa treatment wrap. Body Wraps – While traditionally we think of body wraps a being part of a luxurious spa treatment, they are highly beneficial and allow your body to sweat out toxins and fat, allowing a body cleanse while you just lie there. If you cannot afford what may be an expensive spa treatment, luckily kits for home use can be purchased. Once you get the feel of how to use them, create your own wrap by choosing which oils, clays or even seaweed you feel your body would benefit from. Chi Machine - This machine is considered a massage device as well as passive exercise (and who doesn't like that!). It is used while lying on the floor with our ankles in a cradle. The machine then sways you gently back and forth, in a figure 8 type motion. It is used to increase circulation and in body cleansing as it helps move the lymphatic fluids. Rebounder - Probably the most fun exercising you will have. Rebounding is jumping on a mini trampoline that is designed for this type of use. The springs and material allow you to jump repeatedly with less jarring on your knees than a regular trampoline or the ground (as in jump roping). According to recent research, jumping, or rebounding, also stimulates your body to create more white blood cells while helping your body clear waste through increased circulation. Perfect for body cleansing! Endermologie is a type of deep tissue massage offered by a trained therapist. It is one of the only FDA approved treatments for cellulite, making this a highly sought after treatment because it works. Toxins are often trapped in cellulite; the fatty cells and fluids around the damaged tissue that cause a dimply appearance often found on the thighs, stomach and buttocks. The rolling action of the Endermologie machine can help push out this trapped fluid and waste, pushing it into your body for removal. Just be sure to drink plenty of water during your program to gain the full benefits. Three Day Cleanse – Okay, maybe not so fun. But it is only three days, and a great way to jump start any diet, body cleanse, detox or health program. A three day cleanse can be easy if you plan ahead, do your shopping and do not get side tracked. Set aside three days to allow time to make fresh vegetable juice, prepare and eat fresh, green salads, fresh, organic fruits and organic soups. Add in a massage, bath or body wrap and you will be rewarded with a more relaxed yet energized body. While any of these can be incorporated into your daily life, holistic nutrition can greatly enhance your benefits. Eating well takes practice for some, but after a few days becomes easier and after a couple weeks becomes part of a lifestyle. The three day cleanse, or any body detox, can help you get on track and feel your best at any time in your life.